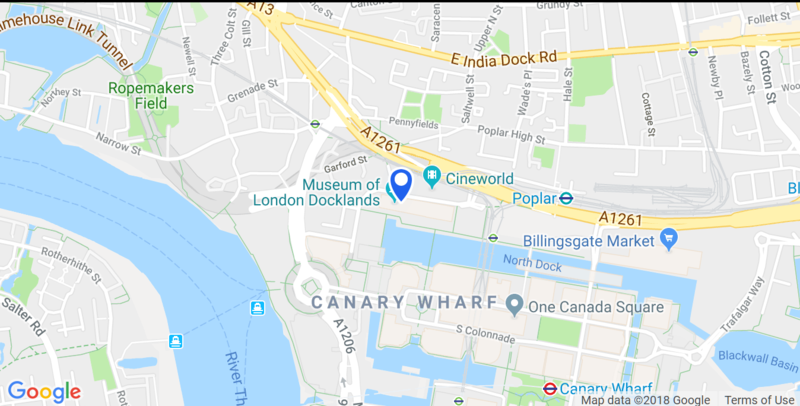 Address: West India Quay, Hertsmere Road, London, E14 4AE. Entrance to parking off Hertsmere Road, click here for full WIQ parking details. West India Quay is a few steps away from the West India Quay, Poplar and Westferry DLR stops. It will also be linked by Crossrail. Hertsmere Road has two bicycle racks: One near the Schools and Groups entrance and another by Cineworld. There is also a Cycle Hire docking station located on Fisherman's Walk West, just across the other side of the dock. There are a number of reputable taxi firms including Quayside Car Service, Sierra Cars and Express Sierra. The centre does not have links with any one company. Taxi bookings are the responsibility of the individual.